I think he is very knowledgeable. He takes the time with his patients, he is approachable, and he is professional. When looking for a dentist, I was very calm in the presence of Dr. Schneider, and he explained everything very thoroughly before the work started, so I was very well-informed. Also, the gentle care he provides satisfies me deeply. His staff of dental hygienists are great. I like them a lot. I feel like he makes you feel very comfortable. I hadn't been to the dentist in years, and I had been avoiding going. He didn't make me feel bad about it at all. His bedside manner, he makes you feel comfortable. He's very nice. He's probably one of the nicest dentists that I have met. William M. Schneider, D.D.S. 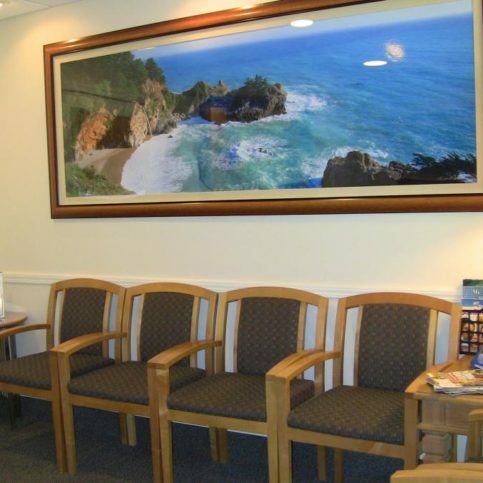 provides a complete range of cosmetic, family and general dentistry services for all types of patients (including children) at his Walnut Creek facility. In addition to performing routine dental exams, cleanings and extractions, Dr. Schneider and his staff can straighten teeth with Invisalign®; diagnose and treat periodontal diseases; perform root canals; and fit patients with tooth-colored fillings, veneers, implants and dentures. 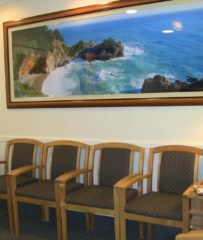 He has extensive experience with patients who are scared to see the dentist and offers different levels of sedation to make their experiences stress-free and comfortable. DIAMOND CERTIFIED RESEARCHED CAPABILITIES ON William M. Schneider, D.D.S. Company Name: William M. Schneider, D.D.S. DIAMOND CERTIFIED RESEARCHED ARTICLES ON William M. Schneider, D.D.S. 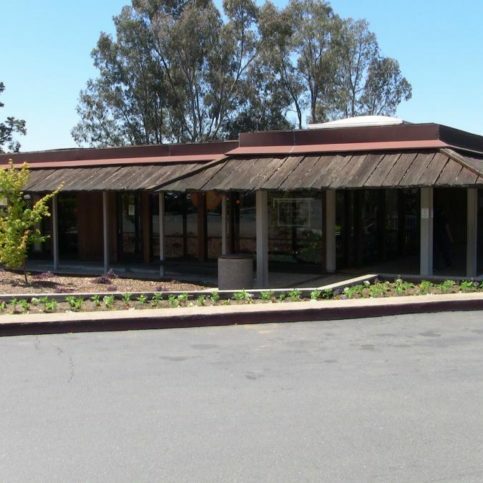 Dr. Schneider has been providing cosmetic, family and general dentistry services for all types of patients (including children) at his Walnut Creek facility since 1990. In addition to performing routine dental exams, cleanings and extractions, he and his staff can fit patients with tooth-colored fillings, veneers, implants and dentures; provide solutions for snoring and sleep apnea; straighten teeth with Invisalign®; perform root canals; diagnose and treat periodontal diseases; and more. If you suffer from sleep apnea, make sure you’re familiar with the options for dental appliances. Sleep apnea—a condition characterized by interrupted or shallow breathing during sleep—has become increasingly prevalent in recent years. It’s often mistaken for mere snoring, but it has a much more detrimental effect on a person’s sleep cycle, causing them to spend more time in light sleep and less time in the deep, restorative sleep that’s necessary for optimal daytime functionality. If you’ve been diagnosed with sleep apnea, a good first step is to implement relevant lifestyle changes such as losing weight, quitting smoking and maintaining regular sleeping hours. 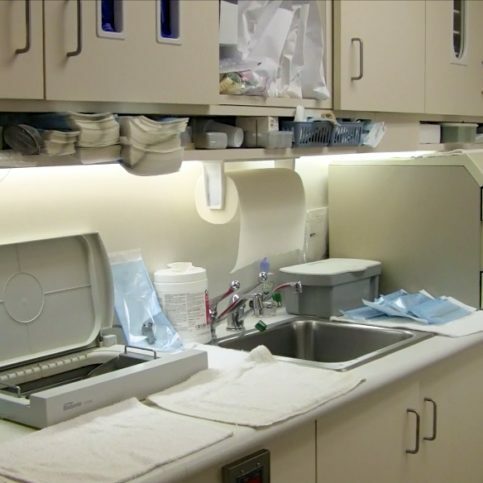 However, additional treatment is needed for some individuals, which is where dental appliances come in. 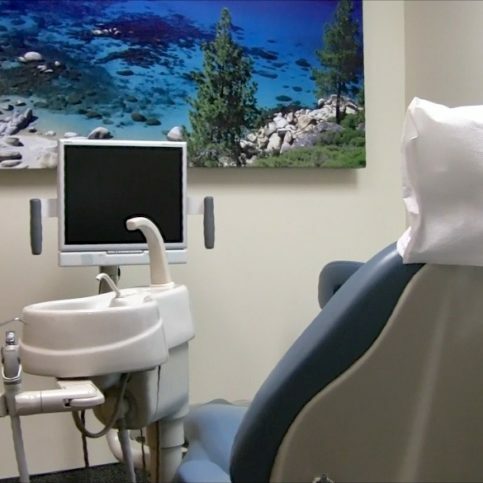 Since dental appliances are only effective at treating cases of mild to moderate sleep apnea, it’s important to get an accurate diagnosis of your condition. Also, be sure to get fitted by a dentist who specializes in sleep apnea treatments, and follow up with regular visits to get any necessary adjustments. Q: How can I tell if your practice is part of my insurance company’s network? A: We can contact your insurance company directly and find out if our services are covered under their network. Once we know the extent of your coverage, we can explain your options. Q: How soon can I get dental work done? A: If you have an emergency like swelling or tooth pain, we can help you on the same day. If you need a general checkup and cleaning, we’ll come up with something that fits with your schedule. We always try to get to patients within a week of their initial call. Q: Will Dr. Schneider be gentle while he works on my teeth? A: Yes, he’s very gentle and conservative, and if you have any concerns or special requests, he’ll listen. He knows how to make patients feel comfortable, and he’s very good with children. A: You should have your teeth checked and cleaned at least twice a year unless your dentist recommends more frequent visits. Q: Can cosmetic dentistry improve the appearance of my smile? A: Yes, there are many cosmetic dental procedures that can improve your teeth and enhance your smile, from restoring a single tooth to getting a full mouth makeover. Dr. Schneider can assess your needs and talk to you about ways to improve the health and beauty of your smile with cosmetic dentistry. SELECTED PHOTOS FROM William M. Schneider, D.D.S. Dr. William Schneider is owner of William M. Schneider, D.D.S., a Diamond Certified company since 2013. He can be reached at (925) 480-7986 or by email. A: The University of Arizona Wildcats basketball team. A: Esin Restaurant & Bar in Danville. A: Playing with blocks in nursery school. WALNUT CREEK — Although it’s often mistaken for mere snoring, sleep apnea is a serious condition that causes the sufferer to literally stop breathing during sleep—potentially hundreds of times in a single night. In addition to daytime sleepiness (which can affect work performance and increase the likelihood of a car accident), it can cause a variety of health problems, including elevated blood pressure, depression, and the risk of diabetes and stroke. There are several factors that increase your susceptibility to sleep apnea, including physical attributes and personal habits. One common contributing factor is your body weight, although it’s primarily the size of your neck that matters. Males whose neck circumference is more than 17 inches and females whose neck circumference is more than 16 inches are particularly at risk. Other factors that increase your predisposition to sleep apnea are a deviated septum, chronic nasal issues or sinusitis, and smoking. If you’ve been diagnosed with sleep apnea by a physician, you typically have three treatments to choose from. The first is the use of a CPAP, which is a mask attached to a machine that assists breathing during sleep. Another option is an oral appliance that brings your jaw forward to open up your airway while you sleep. The third option is to have surgery to correct the physical attributes that contribute to your condition. Considering the health risks involved, if you’re experiencing symptoms of sleep apnea, you should consult a medical or dental professional who can help you find a treatment that best fits your needs. WALNUT CREEK — Host, Sarah Rutan: If you suffer from sleep apnea, there are some solutions available. Today we’re in Walnut Creek with Diamond Certified Expert Contributor Dr. William Schneider of William M. Schneider D.D.S. to learn more. Diamond Certified Expert Contributor, Dr. William Schneider: Sleep apnea is a potentially severe sleep disorder. At night your body stops breathing. Sometimes up to hundreds of times a night. This can have very serious health consequences. Patients with sleep apnea have a much higher incidence of high blood pressure, diabetes, stroke. They have a much higher incidence of depression; daytime sleepiness, which can decrease your work production and increase your potential of having a car accident up to five times. Things that I’d like you to look for that may help indicate you have sleep apnea: If as a male you have a neck circumference of 17 inches, as a female if you have a neck over 16 inches, if you snore a lot, if you’re a smoker, if you have chronic nasal issues, if you have chronic sinusitis, a deviated septum. All of these have relations to sleep apnea. Sleep apnea is diagnosed by your physician, and your physician will go over the three possible treatments. One treatment is a CPAP, which is a breathing machine you would wear at night to help you. There’s a surgery that can help correct your sleep apnea. And the third is an oral appliance that brings your jaw forward to open up your airway. I’d like to encourage you, if you think you may have any of these possible symptoms, that you consult with your physician to help change your life. Diamond Certified RATINGS ON William M. Schneider, D.D.S. William M. Schneider, D.D.S. : Average 9.4 out of 10 based on 175 unique customer surveys of customer satisfaction. He is extremely competent and has good analytical skills. If you need the best dentist around, go see him. Our entire family has been going to him for over twenty years and can't say enough about his professionalism. I have recommended him to several people. He is the best dentist that I have ever used. His bedside manner is fantastic. He is very patient, communicative, and he is willing to joke about himself. He is very thorough and concerned. He is a solid dentist. He is a good dentist and has been in business a long time. He has a good bedside manner. He is a good family-practice man. He is thorough and concerned about his patients' personal needs. He is thorough and careful.